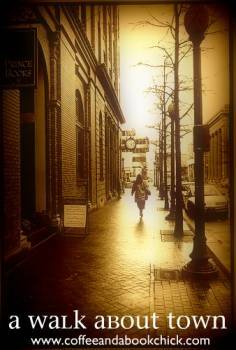 A Walk About Town is a weekly feature hosted here at Coffee and a Book Chick. You do not need to have a book blog to join; any blogger can participate! Write about a spot in your town, or in another city you've visited, include the button for A Walk About Town, and add your link in the Linky below so that we can all visit your post. You don't need to include a picture to participate. I will post on Thursdays, but you can post any day of that week. Just make sure to add your link to the most recent week's post here at Coffee and a Book Chick, and if you're on Twitter, use the hashtag #AWalkAboutTown. 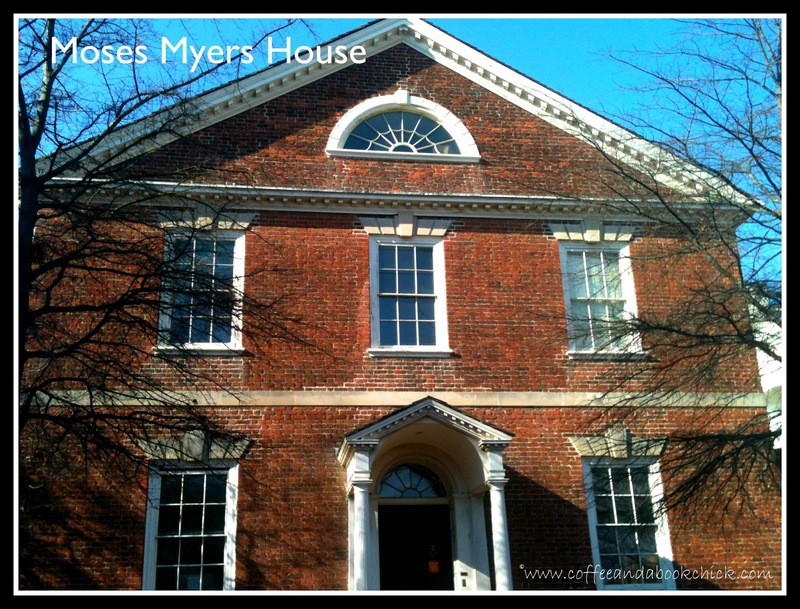 There are just some spots in a town that don't have the right foot traffic or recognition, and the Moses Myers House in Norfolk is one of those spots that deserves more publicity. Part of the Chrysler Museum's Historic Homes, the house is situated at the corner of Freemason and Bank, and right next to one of the largest malls in the Commonwealth known as MacArthur Mall, but the spot seems to go completely unnoticed. We had no idea how much history was in this one brick house and were completely blown away, yet again, by the story of Norfolk. I went on a Saturday afternoon, and my husband and I were the only ones there. We received a wonderful guided tour by the helpful staff and enjoyed every tidbit they shared. For us history buffs, the abundance of charm was an unexpected pleasure and I highly recommend a visit. 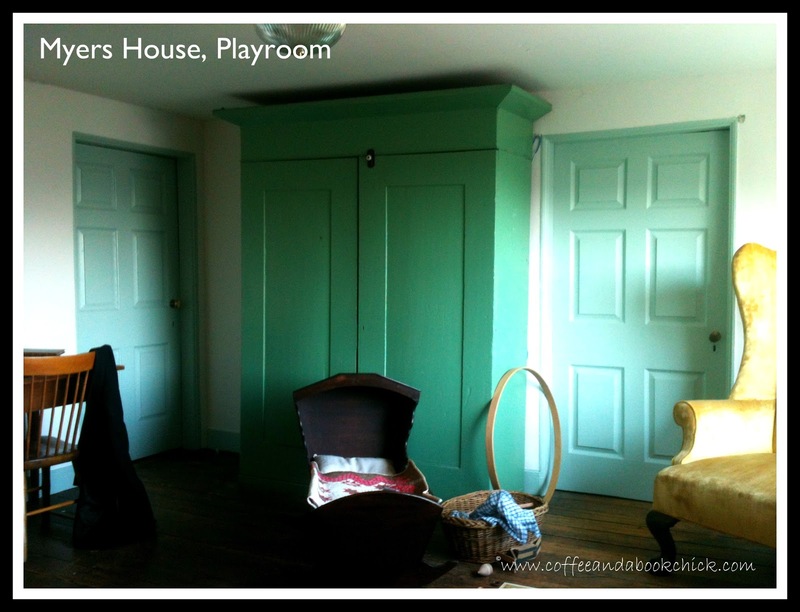 With more than 80% of the furnishings original to the home itself, it made the feel of the house even more intriguing and unique as we walked through small passageways and turned corners. After all, normally when you visit an historic house, you're lucky if you can see anything that is original to the home itself; most of it will be a reproduction, or are simply authentic to the time period only. 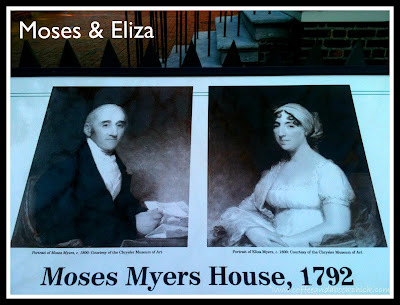 Moses Myers and his family became the first Jewish residents of Norfolk, Virginia, and the house has passed through five generations of the family who carried on Moses' tradition of public service, and patronized the arts and the theater. Barton Myers, a notable public servant who tirelessly advocated for awareness of Virginia and brought even more business to Norfolk, continued to set the stage for the city that we know today. I think I was the most touched by the story of Moses and Eliza's daughter Adeline, who was engaged to a local grocer named Solomon Nones. He died just a few days before their wedding and Adeline remained single and lived in the family home until she passed in 1823. I could not imagine the pain and sadness she must have experienced. What a tragedy, and my heart broke for her as I looked in on her room. 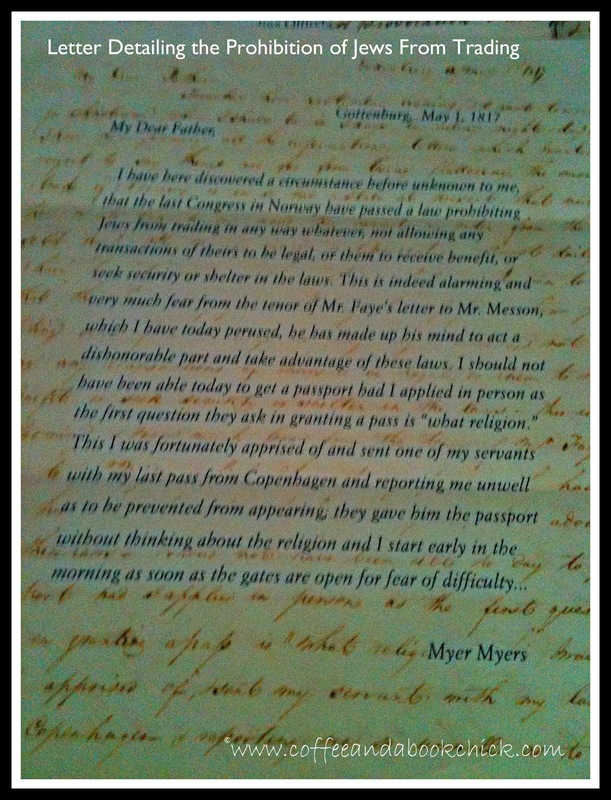 In one room at the top of the house, a small desk is positioned with a multitude of personal and business letters, correspondence by and to the Myers family. Of course, these are photocopies, but they are available for you to pick up and closely read, and quite frankly, I could have pulled up a chair to the small desk that the Myers' used and read all day. Fascinating stuff! The letters I read dealt with someone being beat up at a dock, and another discussing the results of the Yellow Fever epidemic which killed approximately 2,000 Norfolk residents. 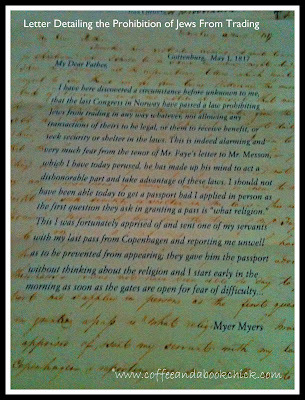 Pictured here is a letter detailing the prohibition of Jews from trading, and how Moses' son was almost unable to retrieve a passport. (Click on the image to read it). Norfolk is home to the largest naval base in the world, Norfolk Naval Station. This base currently supports 75 ships and 134 aircraft, and also houses the largest concentration of Naval forces. Were it not for Barton's efforts and hard work in the early 1900s, this port would more than likely not be the military powerhouse it currently is today. Barton was also the Executive Director of the Jamestown Exposition of 1907, which brought more public awareness on this famous settlement. This is truly an integral piece of history for both Norfolk and America, and it's a shame more don't know about this amazing family. I strongly encourage you to learn more about this site, the family, and the Chrysler Museum. 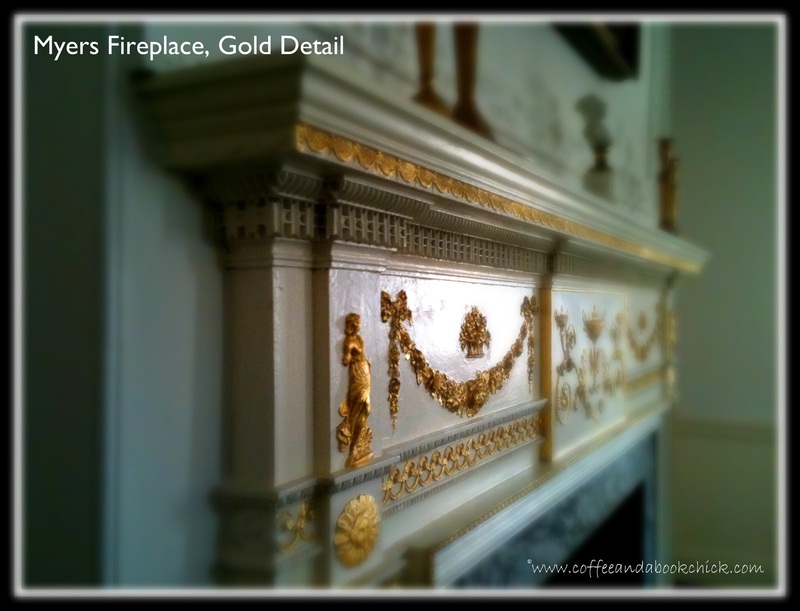 For more details on visiting the house, please click here. This is at the top of the house. Notice the shorter doors! Side note: Remember how my blog looked just last week (before the awesome new design by Forever Design Studio! 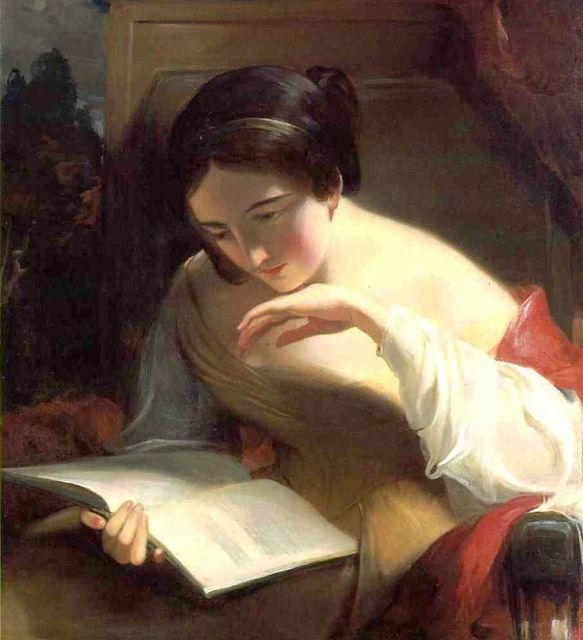 ), with the portrait of this woman in my header? That was painted by Thomas Sully... what a shock to me when the staff informed us that the artist for the paintings of the family was none other than... Thomas Sully! Small world (sort of), right? What about you? Tell us about a spot in your town that you recently visited by linking up your post here! You are bringing back so many memories for me! I'd totally forgotten about the Moses Myers House. I'm an award-winning author with a new book of fiction out last month. adolescence published by West Virginia University Press. Review, The Foliate Oak. and The Cortland Review. Can I interest you in reviewing it? My short stories have appeared in more than seventy-five literary journals, including North American Review, The Kenyon Review, Alaska Quarterly Review, and The Chattahoochee Review. Twice I have been nominated for The Pushcart Prize. My short story "The Scratchboard Project" received an honorable mention in The Best American Short Stories 2007. I am also the author of the nationally acclaimed coming-of-age novel The Night I Freed John Brown (Philomel Books, Penguin Group, 2009), winner of The Paterson Prize for Books for Young Readers (Grades 7-12) and one of ten books recommended by USA TODAY. Thank you very much, and I look forward to hearing back from you. I love old, historical houses as well. Great post! I love visiting historical homes. The Moses Myers House sounds fascinating. I confess to kmnowing nothing about this famiy and am happy you posted about them. Poor Adeline. That was so interesting! I love visiting historical houses. Thanks so much for sharing. I love old houses too, and it's so neat that you were the only ones there to get the guided tour, but also sad, in a way, that more people weren't lined up to see the place. Thanks for sharing this with us today. It looks like it was an amazing place to visit! I thought the little empty green suit was kinda creepy, too! Thanks for sharing, and I still love your Walk About Town! Maybe next week I'll be back to play along, as we're traveling this weekend! I love stuff like this! That is when my love of time travel stories comes in handy, and I float through the rooms fantasizing that I could just hop back in time to see it when it was a functional house. 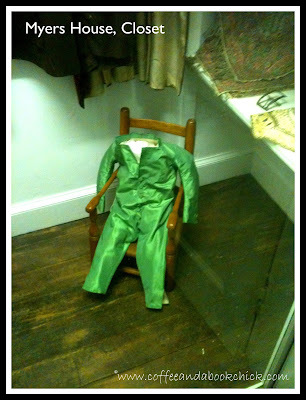 I do agree with Jill though, that green suit is scary. Like at night it might come alive and eat you. I adore touring old homes. Lucky you to live in such an historic area. The home is so beautifully preserved. And I love the little green suit! Wow! So very cool. I've been trying to visit historic sites in the area since we moved here. I'll go out tomorrow and get some recent pictures so I can link up. What a gem! And I the connection of your previous header with this house is cool. 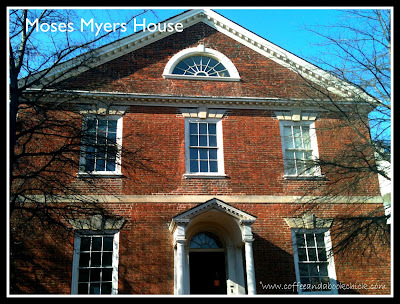 I enjoy learning about little known historical places or people, like Myers house. Thanks Natalie.